Data is data. Circos is flexible. There is nothing about Circos that is specific to genomics—it just happens that I work in genomics and therefore the tool has been applied to this field. Some parameter names have a distinctly biological feel to them (e.g., chromosomes), they translate directly to general ideas (e.g. axis). Circos' circular layout makes it ideally suited for showing data that includes relationships between positions on one or more scales. To name a few, Circos has been used to visualize customer loyalty in the auto industry, volume of courier shipments, database schemas, presidential debates and flow of human migration. These days many people are dumping their SUVs in preference to smaller cars. How do customers "flow" between brands and car segments? The figures below illustrate such data sets. ▴ Individual car segments are organized circularly and subdivided into individual brands. Links between the segment/brand combination refer to a transaction in which a customer sold a specific segment/brand in favour of another. ▴ A variety of panels focusing on different aspects of the customer flow data set. 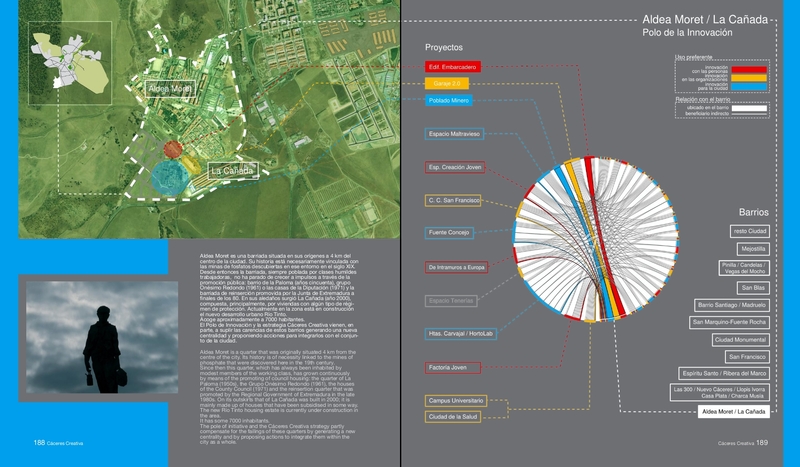 ▴ Explanation of the structure of the infographic. The entire data set is shown with links colored based on the number of transactions. ▴ Close-up legend of the graphic. 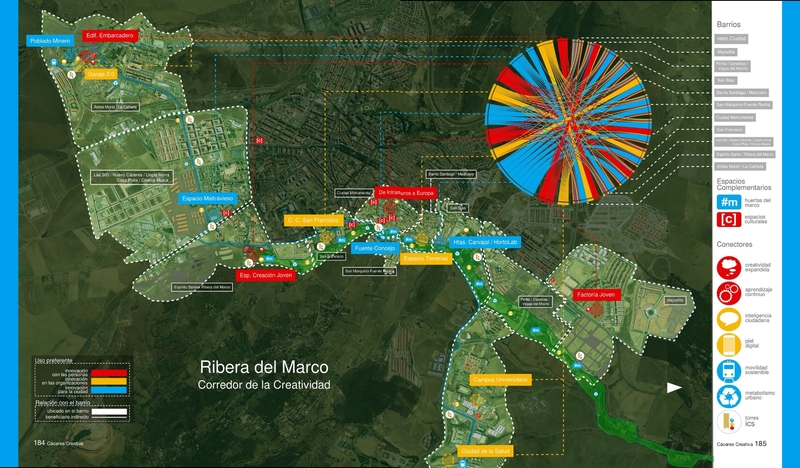 Caceres Creativa: p138 (Parte Antigua), p184 (Ribera del Marco)), p188 (Aldea Moret). 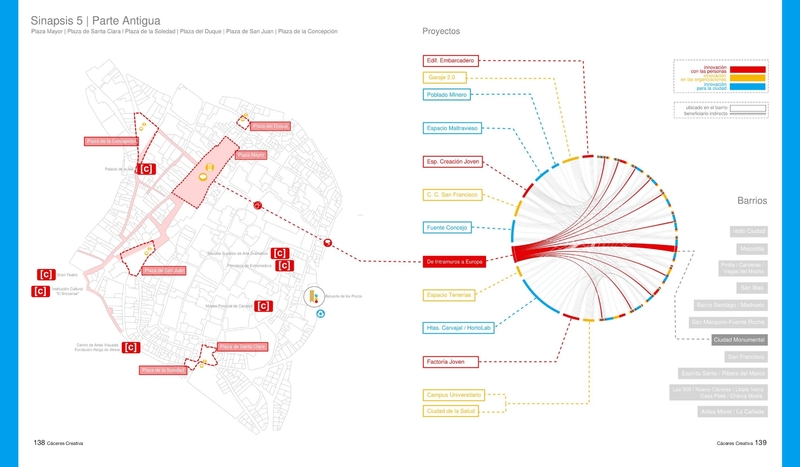 ▴ 17 Jan 2011 | The town of Caceres, Spain, a UNESCO World Heritage Site, used Circos to illustrate the relationships between businesses in their urban planning strategy. ▴ Names used by major presidential candidates in the series of Democratic and Republican debates leading up to the Iowa caucuses. By Jonathan Corum and Farhana Hossain (NYT). This is work by Guy J Abel and Nikola Sander and has been published in Science (28 March 2014). See http://www.global-migration.info for details and data. Abel GJ, Sander N 2014 Quantifying global international migration flows Science 343:1520-1522. ▴ Human migration volumes between world regions over the last 20 years in 5-year periods. ▴ Origin and destination countries are represented by segments around the circle. Each country is assigned a colour (Mexico: yellow); flows have the same colour as the origin. Flow from Mexico to USA: no gap at origin, large gap at destination; the width indicates its size. Total emigration from Mexico, coloured by destination country (here USA). Total immigration to Mexico, coloured by origin country (here small [return] flow from USA). Tick marks indicate a country’s gross migration in 100,000’s (here 4.1 mio in India). ▴ This Data Sheet provides a comprehensive portrait of the global flow of people in 2005–10. It features the flows between the top 50 sending and receiving countries, each country’s total immigration and emigration flow and the world’s 20 largest country-to-country flows.